Elizabeth Lee has explored self-healing as a life work since 1974 and believes in the power of the individual to affect the whole. A master therapist, Elizabeth is experienced in both eastern and western massage theory and technique. Also a guild-certified hypnotherapist, Elizabeth uses Ericksonian linguistic technique to promote greater well-being. Bioholistics is the study of the relationships between living systems. It is concerned with the holistic integration of mind and body with the environment. Bioholistic studies incorporate, though not exclusively, the concepts of bioenergetics and biodynamics. It is more concerned with the ultimate relationship between the inner-self (the spirit) and the outer-self (the universe) and the body that goes in between. To better understand yourself, your attitudes and behaviors, is to acknowledge that your body, mind and spirit function in the greater environment to create a whole being. In bioholistic therapy the human body is accepted as a microcosm. Initiating change and the self-discovery resultant in that effort are central in bioholistic therapy. 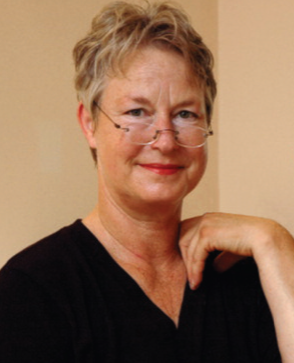 As a bioholistic therapist, Elizabeth reaches deeply through light touch, and affects physical release through deep, musculoskeletal technique. All change is measured through the physical body and each individual’s interpretation thereof. Elizabeth often serves as an advocate for her clients. She works cooperatively with primary physicians and all caregiving teams to facilitate the greatest, individualized well-being. • Therapeutic Massage — An initial consultation will begin to determine the weak links of the client with an intention of designing a healing program. • Zen Shiatsu — A partnership of healing therapy between client and practitioner that increases flexibility and range of motion. Great for yoga aspirants. • Spa Massage — A choreographed session for relaxation and tension release; a feel-good massage without consultation. • Doula Massage — Designed specifically for the stresses of pregnancy, delivery and postpartum recovery for mother and baby. • Integrated Foot Reflexology — The foot is a microcosm of the body, which can be massaged and manipulated to assist in healing the whole body. • Breathing Techniques — For relaxation, empowerment and healing. • Neuro-Linguistic Programing — These techniques are used to increase self-awareness and release life patterns, assisting the client to initiate his or her own healing. • Death Midwife — Healing touch, combined with meditation and breath techniques are used to ease the transition from this world to the next. • Touch for Health — Applied kinesiology techniques are used for assessment and therapy.